The Auas Valley Shopping Mall in partnership with the Harley Owners Group (HOG) Namibia handed over a donation of N$ 7,500 to SPCA Namibia on 6 September. 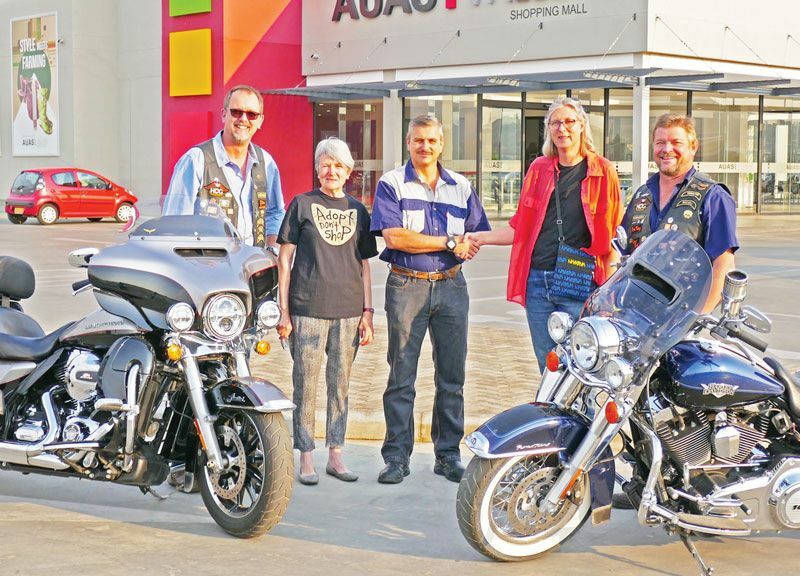 The donation was collected by Agra staff through the Auas Valley Shopping Mall and HOG Namibia competition, where people donated N$ 50 and 3 lucky winners, got a chance to win a ride on a Harley Davidson motorcycle to Omeya and back. The competition winners were announced during the Spring Late Night Shopping event which took place on 1 September . 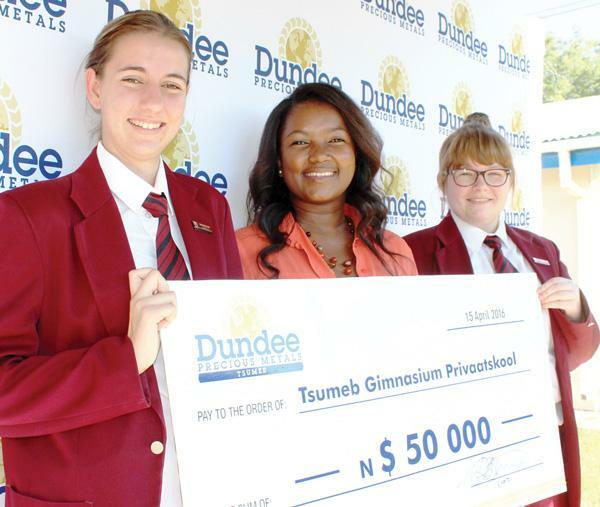 The lucky winners were: 1st Allegra Erdmann, 2nd Eileen Grosse-Weischede and 3rd Leoni van Rensburg. Henning Tiemann, General Manager of Agra Properties noted that the competition was successfully hosted to assist the needy organisation. From the left, Henning Tiemann, Agra General Manager of Properties; Eileen Grosse-Weischede, SPCA Committee Member; Tiaan Nel, Supervisor of Auas Valley Shopping Mall, Sylvia Breitenstein, Manager of SPCA Windhoek and Reinhard Redecker, HOG Namibia President.